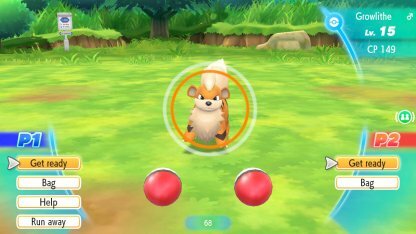 Make catching them all a breeze with this guide on catching Pokemon in Pokemon Let's Go Pikachu / Eevee. This includes tips & tricks to catching Pokemon and what you get from catching them! 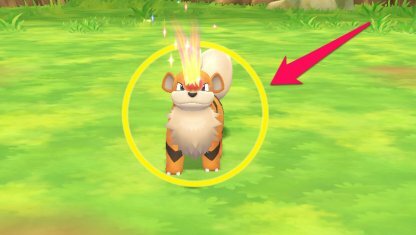 Catching Pokemon in Let's Go Pikachu / Eevee is the same as in Pokemon Go! Walk up to a wild Pokemon to enter the "Catch Challenge", then simply throw your Pokeball to catch it! 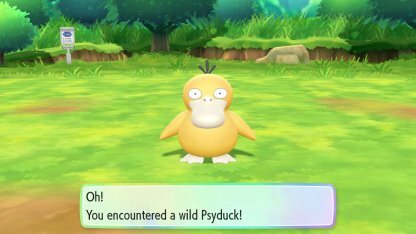 Unlike the previous Pokemon games, players won't be able to weaken Wild Pokemon through battle in this game. Instead, they'll have to use a variety of tricks such as using berries to catch Wild Pokemon. 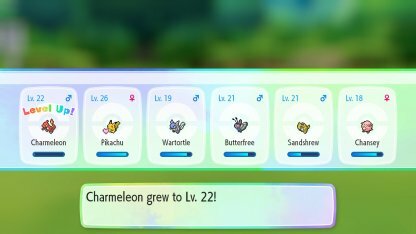 Although there's no battles anymore, you can still level up the Pokemon in your party from catching Wild Pokemon. Every time you successfully capture a Pokemon, every Pokemon in your party will receive Exp. 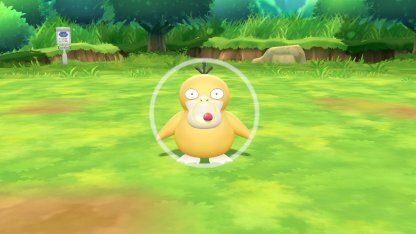 In the "Catch Challenge", the Pokemon will have a colored circle around it that will show how difficult the Pokemon will be to catch. The smaller the circle, the harder it will be to catch! With the Switch, it's possible for two people to work together to capture the Pokemon at the same time! Throwing the balls together in sync will greatly raise your chances of catching the Pokemon! Players can also do the Coop Capture together if they want. 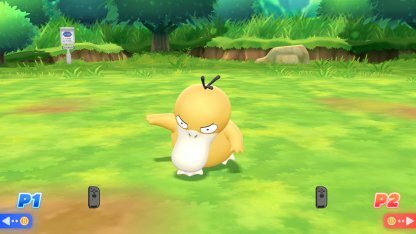 It's as simple as holding one of each Switch controller in one hand and timing the flick of the controllers when throwing the Pokeball. The drawback to using the Coop to capture Pokemon is that you also use twice as many Pokeball than you usually do. This can easily burn through your supply of Pokeballs if you're not careful. 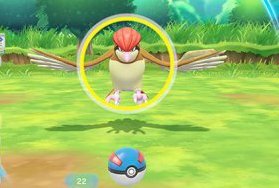 There are different types of Pokeballs in the game that you can use with better variety ones making it easier to catch Wild Pokemon. It's recommend to only use higher quality ones on rare or difficult Pokemon. You can select which ball you want to use by going to your bag. Select which type of ball you want to use from your inventory and it will appear in the challenge! Feeding Wild Pokemon Berries will make them easier to catch depending on the berry you use! This is really helpful when catching Pokemon with small Orange and Red Capture Circles. Players can give Wild Pokemon berries through their bag. Simply go to your bag and select which type of berry you want to give the Wild Pokemon, then press use to give it to them. Observe the Pokemon first before throwing any Pokeballs at it. 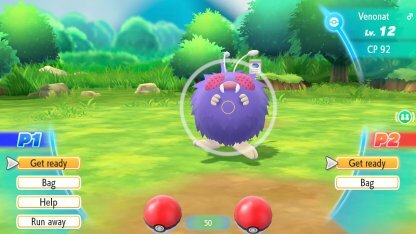 Some of them move around the screen during the Capture Challenge so make sure to time your throw when they are stationary so you won't miss. During the Capture Challenge, a Wild Pokemon will do an action to swipe away any ball thrown at it. It's recommended to throw a ball at it right after it does that action. 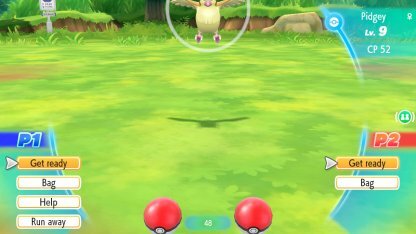 The Capture Circle will continuously shrink and expand during the Capture Challenge. 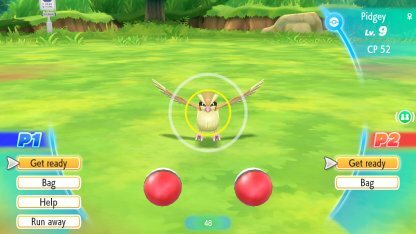 You will get a better chance of capturing the Pokemon if you hit the circle at its smallest! 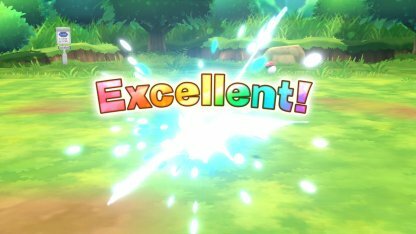 When you hit the Capture Circle at its smallest, you will get a message saying "Excellent"! Getting this message means that the chances of catching the Pokemon has gone up!